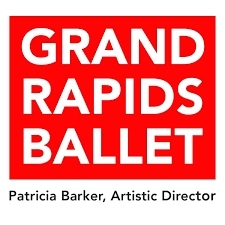 Grand Rapids Ballet (GRB) announced August 15, 2017 that they are formally beginning a search for a new artistic director for Michigan’s only professional ballet company. Current artistic director, Patricia Barker, announced in June that she accepted the artistic director appointment at Royal New Zealand Ballet (RNZB). Barker has been in this position with GRB since 2010, and will split her time between GRB and RNZB until the end of the 2017-18 season. A search committee has been formed within GRB that includes current board members, company dancers, and community leaders. Applications will be accepted through September 15, 2017. Interviews will begin in early October with a final decision being made by early December 2017. Celebrating its 47th anniversary this season, Grand Rapids Ballet remains committed to lifting the human spirit through the art of dance under the current leadership of Patricia Barker as artistic director, Glenn Del Vecchio as executive director, and Attila Mosolygo as school director. A proud recipient of the ArtServe Michigan Governor’s Arts Award for Outstanding Cultural Organization, Michigan’s only professional ballet company has a rich history marked by steady growth, a commitment to excellence, and strong community support. In addition, Grand Rapids Ballet School provides over 250 students with the highest quality dance instruction in a nurturing and encouraging environment and the opportunity to perform in productions by Grand Rapids Junior Company. Keep up with us on Twitter, Facebook, Instagram, and YouTube, and visit grballet.com today.